Are You Considering Or Have You Had Weight Loss Surgery? Your Health Hub offers medical weight loss programs for general weight loss as well as pre and post Bariatric Surgery at our Bellerive clinic. As a result of the huge success of these programs we are also in the process of finalising the development of our TRANSFORMED online medical weight loss programs so you can join the program no matter where you live! As part of our Anti-Obesity Services we are also very excited to welcome Mr Stephen Wilkinson, Bariatric Surgeon from the Tasmanian Antiobesity Surgery Centre to our Bellerive Clinic! Mr Wilkinson has performed over 3300 gastric banding procedures. Mr Wilkinson will be consulting and performing Lap Band Fills at Your Health Hub every second Monday from the 30th July 2018. Call 6214 3063 or reception@taosc.com.au to make an appointment at Your Health Hub. Obesity is a serious health condition and losing weight can greatly improve your general health, your quality of life and your sense of well being. It can also help to prevent or moderate many harmful diseases. Being classified as obese is not about carrying a bit of extra body weight. Obesity can lead to life threatening illnesses such as diabetes, cardiovascular disease, joint problems, obstructive sleep apnoea and some cancers. 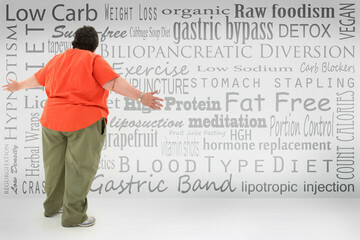 Researchers have shown that obese people with a Body Mass Index (BMI) of 30-35 may live two to four years less than average†. Those people with a BMI of 40-45 may reduce their life expectancy by eight to ten years, which is comparable to the health risks of smoking.